The following essay, by Jeffrey L. Fisher, is the last in our series on John Paul Stevens. Fisher, now an associate professor of law at Stanford Law School, clerked for Justice Stevens during the 1998-1999 Supreme Court Term. This essay is adopted from remarks he made at UC Davis' 2009 Symposium on The Honorable John Paul Stevens. Justice Stevens, of course, was not on the Court when Duncan was decided. But surely one of his lasting legacies will be that he has done more than any other Justice to make the promise of Duncan a reality. And his work may not yet be finished. It is well known that, over the past decade, the Court has focused like never before on determining what exactly the right to jury trial means. In a line of decisions that began in 2000 with Justice Stevens' landmark opinion in Apprendi v. New Jersey and culminated "“ at least in constitutional terms "“ with another Justice Stevens opinion in United States v. Booker, the Court has held that the right to jury trial applies to any fact that, even if not designated by the legislature as part of the crime, exposes a criminal defendant to increased punishment. Sometimes overlooked, however, is the reality that Justice Stevens set forth the constitutional architecture for Apprendi a decade before "“ in a solo dissent. In 1990, in Walton v. Arizona, the Court held that a judge instead of a jury could find aggravating facts that were necessary to impose the death penalty. 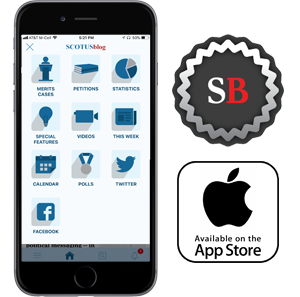 Justice Stevens told the majority, including Justices Scalia and Kennedy, that the holding struck at the heart of the right to jury trial. 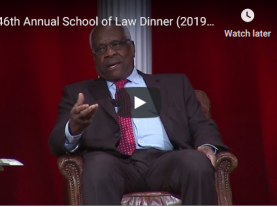 "[I]t is not too late," Justice Stevens implored, "to change our course and follow the wise and inspiring voice that spoke for the Court in Duncan. " The Court did just that in Apprendi, and a seven-Justice majority overruled Walton just two years later in Ring v. Arizona. But Justice Stevens' work may not yet be done. A few years before Walton was decided, Justice Stevens wrote another solo dissenting opinion "“ this one decrying the Court's holding in McMillan v. Pennsylvania that a judge instead of a jury may find facts dictating a mandatory minimum sentence. The Court thus far has stopped short of overruling McMillan and bringing Justice Stevens' conception of the right to jury trial fully to fruition. Four Justices voted to do so in 2004, and a fifth, Justice Breyer, suggested at oral argument this Term that he may be willing to consider doing so. Justice Stevens wrote a concurrence in this Term's case, United States v. O'Brien, noting the prospect that the Court could soon revisit McMillan. If and when the Court takes that step, one can be sure that Justice Stevens' voice will be heard, even though he will no longer be on the bench or in the conference room. And if the Court ultimately adopts Justice Stevens' views, it will be still another testament to the enduring wisdom, eloquence, and persistence of his constitutional vision.